Explore the national park jewels of the spectacular New England Tablelands region surrounding Armidale. Discover magnificent waterfalls, rugged gorges and World Heritage Gondwana rainforest on scenic drives and walking trails. This itinerary is ideal for self-sufficient tourers equipped with a 4WD and camper trailer. 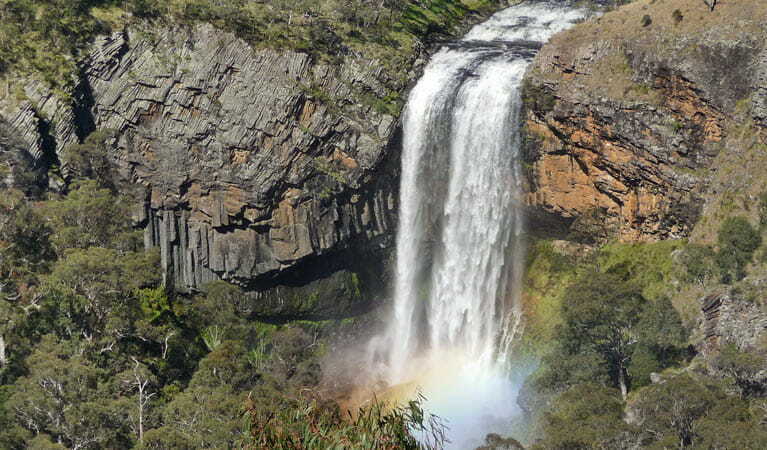 See the state's highest waterfall in Oxley Wild Rivers National Park. Clamber over the granite boulders of Cathedral Rock National Park. Go swimming, canoeing or fishing in the slow-flowing rivers of Guy Fawkes River National Park. Of course, you don’t need to do anything to be invigorated by the scenery. The views are wondrous all across this region, and the sunrise from Point lookout in New England National Park is not to be missed. These parks also shelter an amazing biodiversity, including threatened bird and animal species such as the turquoise parrot and brush-tailed rock wallaby. Whether you stay in a heritage homestead or a peaceful campground, you can always wake to the sounds of native wildlife. If you're approaching from the west, drive from Armidale to Oxley Wild Rivers National Park, where the World Heritage-listed rainforest, dramatic gorges, waterfalls and extensive wilderness areas are perfect for walking, camping and fishing. Alternatively, from the coast you can follow the iconic Waterfall Way up to Dorrigo to join this touring route from the east. Make sure you stop to visit Apsley Macleay Gorges, with its soaring ridge-top views, and Wollomombi, the state’s highest waterfall. Enjoy the diversity of wildlife and landscapes from the many picturesque walking tracks and picnic spots. Oxley Wild Rivers National Park, near Armidale, spoils you with World Heritage-listed gondwana rainforest, historic sites, and magnificent waterfalls. It’s perfect for walking, camping, bike or horse riding, and fishing. Park entry fees apply for day visitors only at Riverside, Youdales and Halls Peak. Enjoy stunning World Heritage scenery at Budds Mare campground. With scenic views of Apsley River Gorge, it’s a great weekend getaway for walking, fishing and relaxing. Head north to Cathedral Rock National Park, where the striking rock formations are great for climbing and photography. 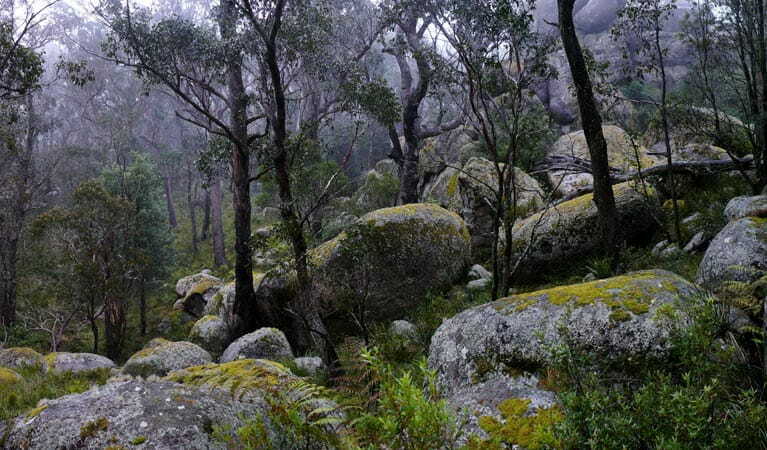 Hike to the summits of Cathedral Rock and Woolpack Rocks for superb views across granite outcrops and dry eucalypt forest. Take short walks from the campgrounds, or hike the exhilarating 10.4km Barokee to Native Dog Creek walk. In shady, private Barokee campground, you’ll find lots of perfect spots to settle in for the night beneath the banksia and eucalyptus trees. This track is the longest in Cathedral Rock National Park. It links Barokee and Native Dog campgrounds and takes in both Woolpack Rocks and Cathedral Rock along the way. Barokee campground, central to Cathedral Rock National Park, offers secluded campsites and easy access to the Barokee to Native Dog walk. You’ll head even further off the beaten track in Guy Fawkes River National Park, a rugged wilderness paradise with excellent hiking, camping and biodiversity. Park your camper trailer at Chaelundi campground before choosing one of the many scenic walking tracks on offer. 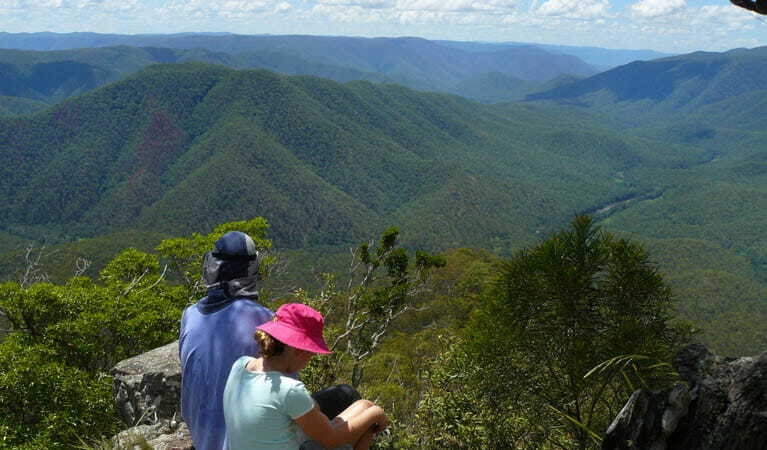 Follow Escarpment walk to Chaelundi Falls, watch the Guy Fawkes River plunge into two waterfalls at Ebor Falls, or enjoy the breathtaking views from Misty Creek lookout. 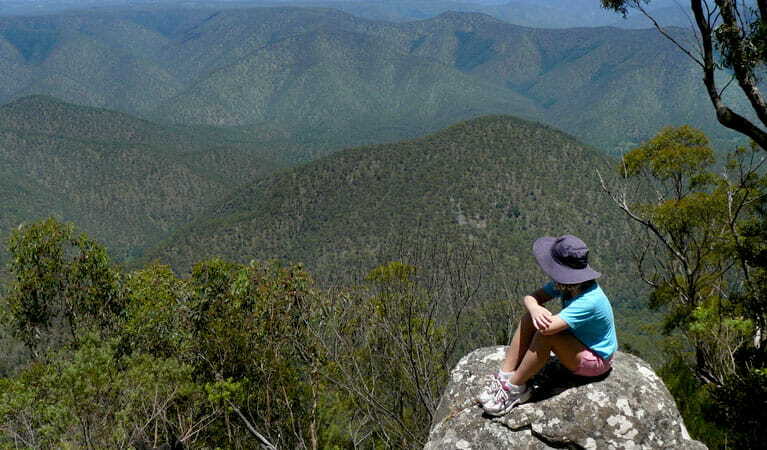 Guy Fawkes River National Park is a wilderness paradise popular for bushwalking and birdwatching. You can also enjoy fishing, swimming and canoeing along the Boyd River. This quiet campground is popular with families and 4WD tourers and makes a great base for enjoying walking tracks into Guy Fawkes River National Park. 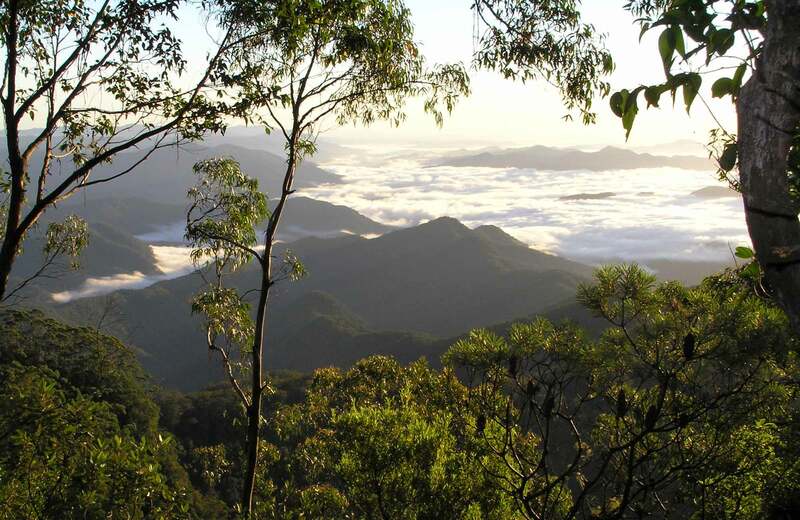 Enjoy scenic views from Misty Creek lookout over Guy Fawkes River Gorge, near Coffs Harbour, and Chaelundi campground. Drive south to New England National Park, where World Heritage-listed Gondwana rainforests meet snow gum forests and dramatic sandstone escarpments. Follow Eagles Nest walking track to Point lookout, where you can watch the sun rise over the ocean and light up the valleys below. Immerse yourself in the magical rainforest on one of the many other walking trails, before heading to Cathedral Rock National Park and settling in for a relaxing night at Native Dog campground. Native Dog campground, just off Guyra Road, has plenty of open grassland for picnicking, pitching a tent or manoeuvring a caravan. Native Dog creek is a short walk away.